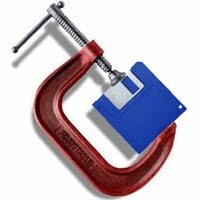 File compression has gained much significance these days. Finding a program with the lowest compression ratio is a tough task since we have a lot of them differing by a small margin but, offering other interesting facilities. In this post we will have a look at File compression tools other than the popular WinZip/WinRAR. This is pretty obvious, 7-Zip is a freeware aimed at making File-compression easier than ever before, it offers better compression rates than WinZip, but does not have an easy UI like WinZip or WinRAR. It has its own archive format called ‘7z’ which offers stronger encryption and compression rates compared to other native formats. Apart from 7z, it also supports .zip and .RAR formats. Click here for a free download. IZArc provides file compression and extraction to 7z (from 7-Zip), ISO, BH (Black Hole), and TAR, among others. It can compress in most of the formats it can extract. It has an intuitive interface which makes it easy to use. However, it stands behind AlZip and 7-Zip in speed and compatibility. IZArc is a freeware. Click here for a free download. If you are using a 64-bit computer, I strongly recommend you go for the WinRAR 64-bit version since it does more than any other program for 64-bit PCs. Although .zip is the widely accepted standard, the other newer compression methods like 7z are also gaining acceptance, inter-compatibility within various file archiving programs ensures that you are able to open most of the archived files you come across. My pick would be 7 Zip. What’s yours?